Bangkok is a big, fast-paced and sometimes unpleasant city. A bit too extreme for me, but I love the food. 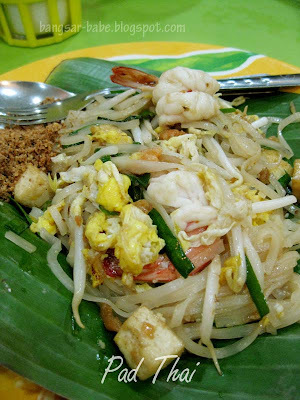 When I ate Thai food in Bangkok, I wondered how I would ever enjoy Tom Yam Kung or Pad Thai back home again. 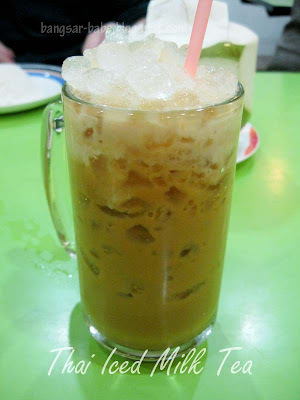 I was in Bangkok with rif in September 2009, and went back there with my parents in mid-December 2009. The thing about travelling with my parents is, they are not adventurous when it comes to food. My parents didn’t like Thai food at all. They found everything too sweet, too fishy and too spicy. Doo Dee Siam at Siam Square was a restaurant recommended by a friend of my dad’s, claiming they serve good Thai food. Come dinner time, the place was packed with patrons; most of them were locals with the exception of one or two foreigners. Despite the language barrier, service was quite efficient, and within 15 minutes, we were all tucking into our food. 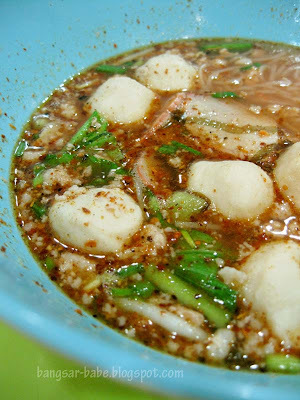 The tom yam kung was spicy and sour, garnished with shrimp, onions, short beans, mushrooms and tomatoes. It was generously seasoned with lemongrass, kaffir lime leaves, hot chillies, fish sauce and cilantro. 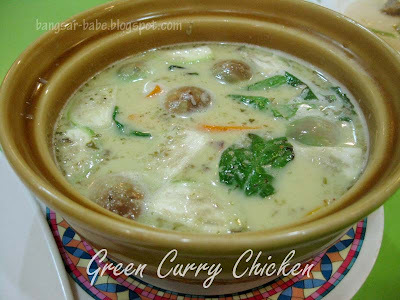 I tend to judge a Thai restaurant by its green curry. 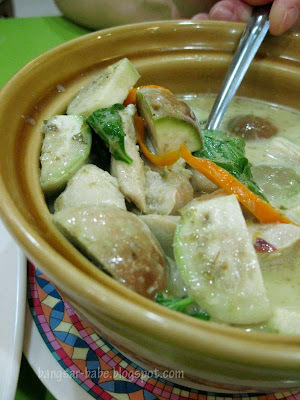 Doo Dee’s version packed quite a punch, with soft green eggplant, mushrooms, chicken slices, carrots and leafy greens. The curry could use a bit more coconut milk, but small matter aside, I enjoyed it. Also tasty was the Pad Thai, although not as good as the Pad Thai I had along Sukhumvit 11. 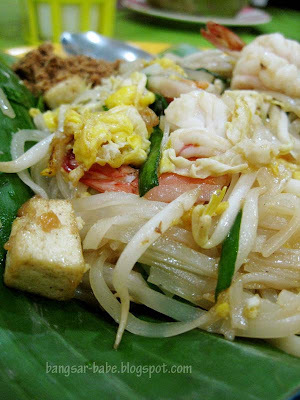 This ubiquitous flat noodle dish had plenty of shrimp, bean sprouts, clumps of egg, scallions and crushed peanut topping. I added more fish sauce and chilli flakes for extra oomph. 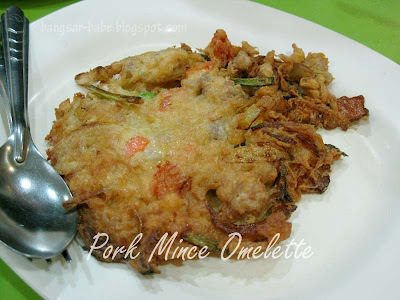 Egg omelette with minced pork was nothing to shout about, but it went well with the rest of the dishes we had. Mum wanted something healthy, hence the plate of stir-fried vegetables. 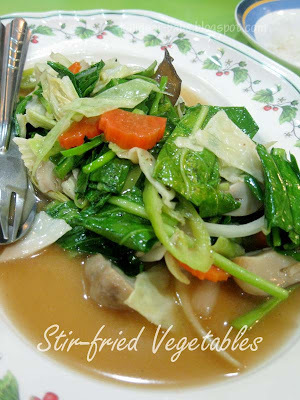 Like most Thai dishes, the vegetables were cooked with a liberal amount of sugar and fish sauce. My parents were not impressed. 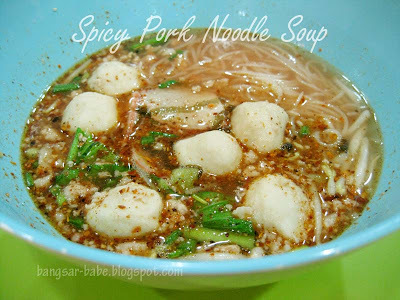 I found the spicy pork noodle soup disappointing. 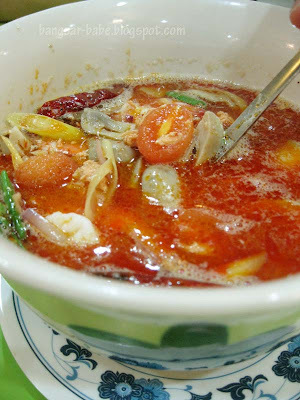 Although it was spicy, the broth lacked body and needed plenty of condiments to enhance its flavour. The portion was also ridiculously small, and mind you, that was a big bowl. Dinner had more hits than misses, but I still prefer eating by the roadside. 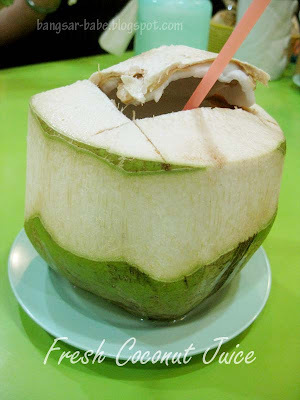 Afterall, isn’t that what Bangkok is all about? 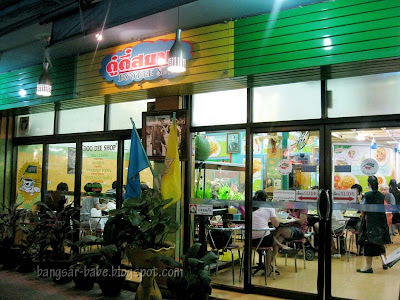 Verdict: Pretty good Thai food, but I wouldn’t order the pork noodle soup again. I also had my share of Thai food 🙂 but in Krabi!!! Well, could have been better I suppose, but trying out local food is one of the best parts of a holiday, isn't it? J – Yup…try telling that to my parents!